My name is Semaamelak Kumie, owner and operator of Gorgeous Ethiopia Guided Tour Company. I started this company to share the natural and cultural wonders of my gorgeous country with the world. I love to create tours and experiences for my clients that they will never forget. I have ten years of experience leading a variety of regional tours and adventures throughout Ethiopia and pride myself on providing world-class service for my clients. Whether you are looking for a luxury vacation or a rugged trekking adventure, I have all of the resources, experience, and local knowledge to ensure a wonderful trip. I am also a certified guide at the Simien Mountains National Park (one of my personal favourite tours). I have professional training as a guide in all aspects of local and cultural knowledge, and mountain flora and fauna. The comfort, safety and enjoyment of my clients while visiting Ethiopia are my highest priority. I will do whatever I can to make your trip easy and memorable. I am proud to give you access to my extensive network of high-quality service providers throughout the country, including chefs, drivers, guides, lodging and entertainment. Whether it is hiring personal chefs and drivers, taking you to interesting events in the city, or visiting ancient Ethiopian landmarks, I love my work and the friends I make along the way. It is my mission to make sure my clients leave Ethiopia with their hearts full and with memories to last a lifetime. You can email me at semma@gorgeousethiopia.com or use any of the forms on this site to contact me directly. 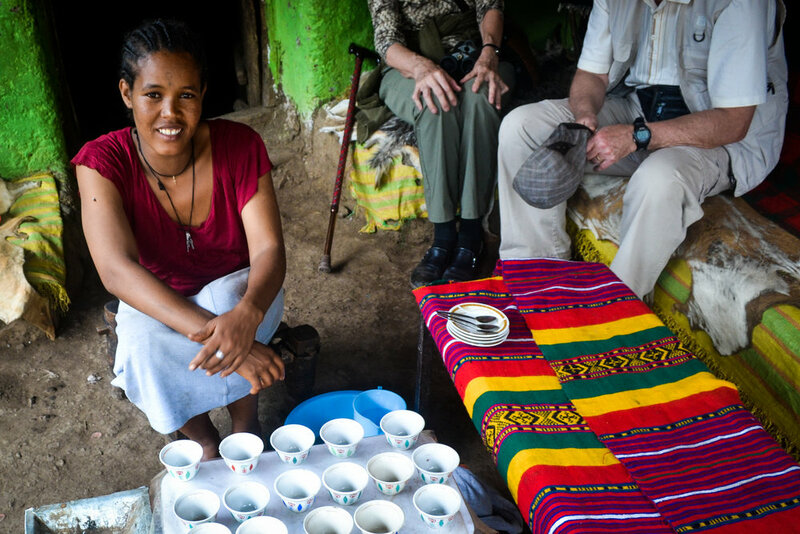 We are proud to work with a tight-knit network of reputable hotels, chefs, drivers and guides throughout Ethiopia to ensure our clients have the best experience possible. We know the best food, nightlife, and natural and cultural hotspots in Ethiopia, and are eager to show you around. All the members of our team are professional, friendly and excited to meet you. We only work with the most experienced and competent service providers available. We can’t wait to meet you and make your stay memorable. All of our accomodations are chosen with the client's needs, desires and budget in mind. We work with a network of reputable local hotels and lodges to offer competitive rates and an easy and comfortable stay. The highest lodge in Africa located in the breathtaking Simien Mountains National Park should not be missed. There are 26 solar and electricity-powered rooms or 'tukels'. Each tukel has two rooms and two bathrooms, with private balconies and is decorated in traditional Ethiopian decor. 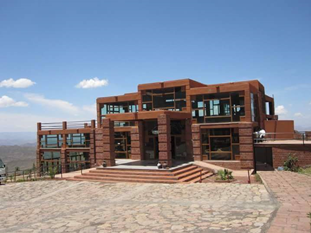 The Mountain View Hotel in Lalibela was built in 2008 by a local guide. Located on the outskirts of Lalibela, the hotel is a strikingly designed in the modern minimalist archetecture style. The hotel has a roomy central living area, alongside numerous outdoor terraces and thirty rooms. All of the rooms offer private balconies overlooking stunning views of the countryside. 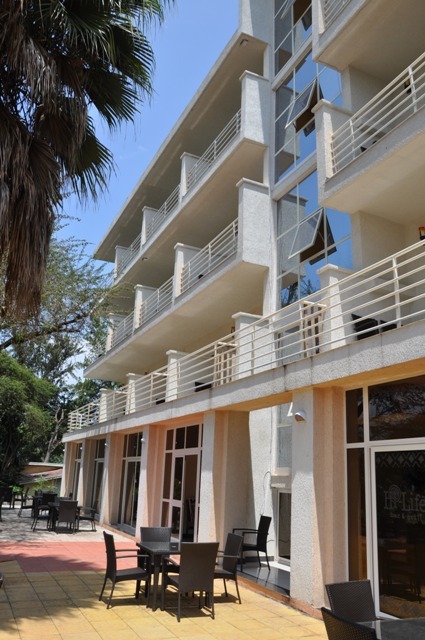 Hawassa Lake View Hotel is the highest rated hotel in the Awasa Area, according to Trip Advisor. The hotel offers lake views from your room's private balcony, wireless internet and is just a short walk from the lake. This is the perfect stay for those looking for a quiet and serene stay and is perfect for bird watching. 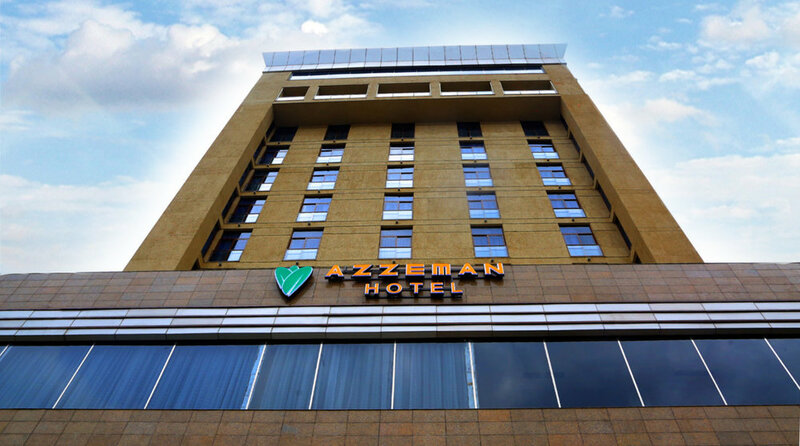 Azzeman Hotel is a new four star hotel located just 5 minutes from Bole International Airport, in the heart of Addis Ababa's main business and leisure district. It has 79 rooms, and offers a variety of high-end amentites like a bar and restaurant, a conference hall, and a health club. As the 2016 Recipient of Travel Advisors Certificate of Excellence, Jacaranda hotel is a three star hotel that offers international standards for service. Located very close to Lake Tana (the largest lake in Ethiopia) it provides accessible lodging near many historical and religious sites and is only 5km from the airport. Goha Hotel offers an enchanting view of the city. Enjoy a breathtaking view from the hills of the city, just a short distance away from the royal encousures. With 82 elegantly furnished rooms, the hotel offers a luxurious retreat with high-end amenities including free high-speed wireless internet access, swimming pool, souvenir shop, restaurant, bar and bicycles for rent. 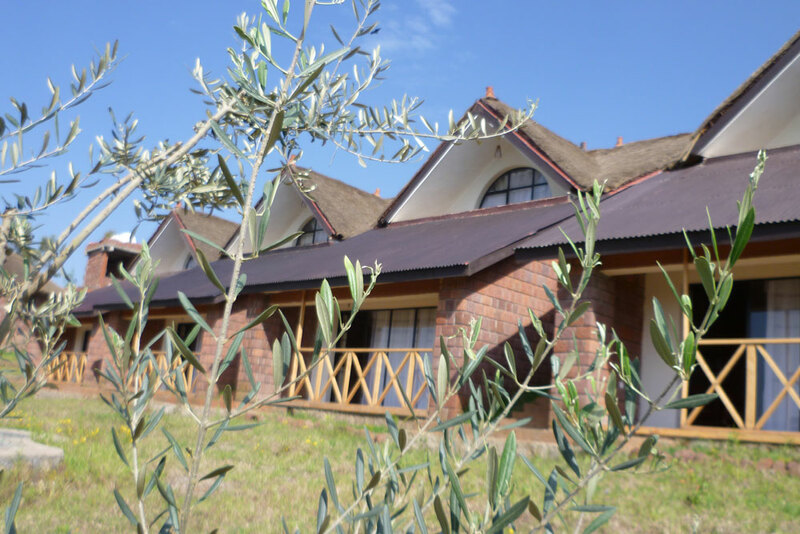 Beautiful bungalows make-up this hotel built in 2010 by a local tour guide and Business graduate from Bahirdar University. Inspired by his travels and experience as a tour guide throughout Ethiopia, the owner built Lalibela Lodge to create the most comfortable and high-quality lodging for his guests. How can you prepare in case of emergency? Whether your trip is one month away or you are just beginning to plan your adventure, download our Travel Tips Guide to make sure you all the information you need to prepare for the trip of a lifetime.